21. 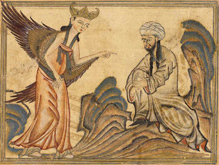 MUHAMMAD, ISLAM AND 'GABRIEL'? It is impossible that the Angel Gabriel, being God's faithful Archangel and messenger, would be capable of telling a lie or being deceived, so it is likewise impossible that the same angel appeared to both Mary and to Muhammad. If the Christ was indeed the Messiah, 'whose Kingdom shall have no end', then he is, without question, more than an apostle, (a King) and what 'the angel' said to Muhammad was, therefore, a lie! It is impossible for the Angel Gabriel to have lied, so it is therefore impossible for Gabriel to have been 'the angel' who dictated the lies in the Koran to Muhammad. So, who was this angel? And He came back to Nazareth where He had been brought up, and went into the Synagogue on the Sabbath day as was His custom. He stood up to read and was given the scroll of the prophet Isaiah which He unrolled to the place where it is written: "The Spirit of the Lord is upon Me, for He has anointed Me and sent Me to preach the Gospel to the poor, to heal the contrite of heart, to preach deliverance to captives, and to give sight to the blind, to set the downtrodden free, to preach the acceptable year of the Lord and the day of reward." (Isaiah 61:1,2) .... And then He, ('Emmanuel', 'God-with-us', Matthew 1:23) said, "This day, this Scripture is fulfilled in your ears." (Luke 4:16-21 and see The Father's Testimony, John 5:36-38, Article 30) But, 'the lying angel of the Koran' accuses Christ saying, "Unbelievers say God is the Messiah", (Koran 5:72) steadfastly declaring the Christ Messiah (1) to be, not God but, an 'Unbeliever'; in the face of Christ's own unequivocal declarations of His own Divinity. (See above & John 8:58) So too, must the Prophet Isaiah (2) also be an 'Unbeliever' as well as the Angel Gabriel (3) because it was Gabriel who declared to the Messiah's mother, the Virgin Mary, that she would be mother to the Son of God. (Luke 1:35) How clearly, in all of his contradictions, 'the lying angel of the Koran' exposes himself to be the one who is truly an "Unbeliever", the "enemy of Gabriel" and truly the "enemy of God," (Koran 2:97,98) as Satan, the Devil, surely is. 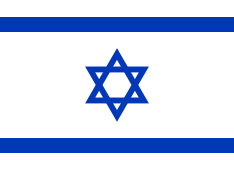 The above anomalies are sufficient to show that "the father of lies", (John 8:44; 2 Corinthians 11:14) 'the deceiving, lying angel' of the Koran, has 'assumed' the name of the Holy Angel Gabriel in order to divide the nations, set brother against brother, Ishmael against Isaac, Muslim against Jew and Christian, to wreak his confusions, havoc, death and destruction upon all the world.